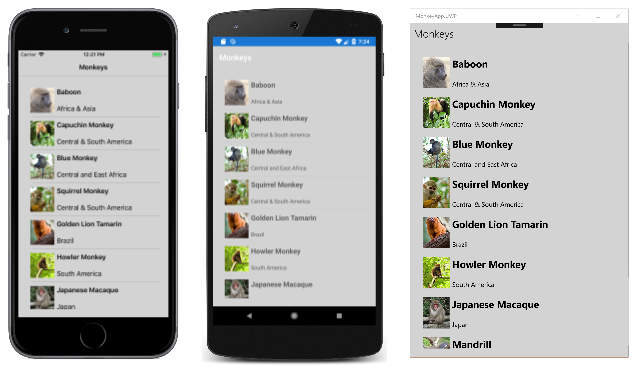 In Xamarin.Forms, CSS style sheets are parsed and evaluated at runtime, rather than compile time, and style sheets are re-parsed on use. Currently, all of the styling that's possible with XAML styling cannot be performed with CSS. However, XAML styles can be used to supplement CSS for properties that are currently unsupported by Xamarin.Forms. 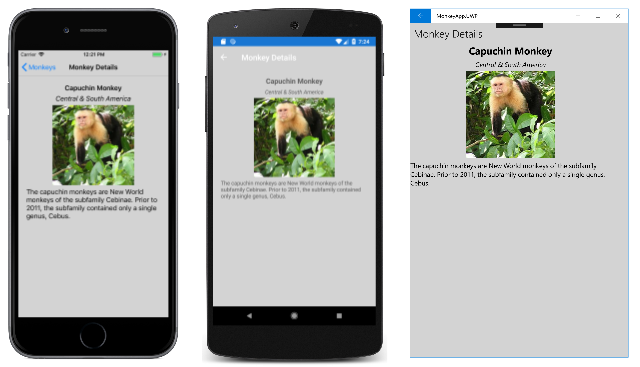 For more information about XAML styles, see Styling Xamarin.Forms Apps using XAML Styles. Add an empty CSS file to your .NET Standard library project. Set the build action of the CSS file to EmbeddedResource. There are a number of approaches that can be used to load a style sheet. The StyleSheet.Source property specifies the style sheet as a URI relative to the location of the enclosing XAML file, or relative to the project root if the URI starts with a /. The CSS file will fail to load if its build action is not set to EmbeddedResource. For more information about resource dictionaries, see Resource Dictionaries. The first argument to the StyleSheet.FromAssemblyResource method is the assembly containing the style sheet, while the second argument is a string representing the resource identifier. The resource identifier can be obtained from the Properties window when the CSS file is selected. The argument to the StyleSheet.FromReader method is the TextReader that has read the style sheet. CSS uses selectors to determine which elements to target. Styles with matching selectors are applied consecutively, in definition order. Styles defined on a specific item are always applied last. For more information about supported selectors, see Selector Reference. CSS uses properties to style a selected element. Each property has a set of possible values, and some properties can affect any type of element, while others apply to groups of elements. For more information about supported properties, see Property Reference. This selector identifies any StackLayout elements on pages that consume the style sheet, and sets their margins to a uniform thickness of 20. The element selector does not identify subclasses of the specified type. This selector identifies any ContentPage elements that consume the style sheet, and sets their background color to lightgray. The ^base selector is specific to Xamarin.Forms, and isn't part of the CSS specification. This selector identifies the element whose StyleId property is set to listView. However, if the StyleId property is not set, the selector will fall back to using the x:Name of the element. Therefore, in the following XAML example, the #listView selector will identify the ListView whose x:Name attribute is set to listView, and will set it's background color to lightgray. A CSS class can be assigned to a XAML element by setting the StyleClass property of the element to the CSS class name. Therefore, in the following XAML example, the styles defined by the .detailPageTitle class are assigned to the first Label, while the styles defined by the .detailPageSubtitle class are assigned to the second Label. This selector identifies any Image elements that are children of ListView elements, and sets their height and width to 60. Therefore, in the following XAML example, the listview image selector will identify the Image that's a child of the ListView, and sets its height and width to 60. The element element selector does not require the child element to be a direct child of the parent – the child element may have a different parent. Selection occurs provided that an ancestor is the specified first element. This selector identifies any Image elements that are direct children of StackLayout elements, and sets their height and width to 200. Therefore, in the following XAML example, the stacklayout>image selector will identify the Image that's a direct child of the StackLayout, and sets its height and width to 200. The element>element selector requires that the child element is a direct child of the parent. .class .header Selects all elements with the StyleClass property containing 'header'. Note that this selector is case sensitive. element label Selects all elements of type Label, but not subclasses. Note that this selector is case insensitive. ^base ^contentpage Selects all elements with ContentPage as the base class, including ContentPage itself. Note that this selector is case insensitive and isn't part of the CSS specification. Styles with matching selectors are applied consecutively, in definition order. Styles defined on a specific item are always applied last. Selectors can be combined without limitation, such as StackLayout>ContentView>label.email. Specificity, and specificity overrides are unsupported. initial is a valid value for all properties. It clears the value (resets to default) that was set from another style. Layout properties (box, or grid). Shorthand properties, such as font, and border. In addition, there's no inherit value and so inheritance isn't supported. Therefore you can't, for example, set the font-size property on a layout and expect all the Label instances in the layout to inherit the value. The one exception is the direction property, which has a default value of inherit. X11 colors, which match CSS colors, UWP pre-defined colors, and Xamarin.Forms colors. Note that these color values are case insensitive. rgb colors: rgb(255,0,0), rgb(100%,0%,0%). Values are in the range 0-255, or 0%-100%. rgba colors: rgba(255, 0, 0, 0.8), rgba(100%, 0%, 0%, 0.8). The opacity value is in the range 0.0-1.0.
hsl colors: hsl(120, 100%, 50%). The h value is in the range 0-360, while s and l are in the range 0%-100%. hsla colors: hsla(120, 100%, 50%, .8). The opacity value is in the range 0.0-1.0. A single value indicates uniform thickness. Two values indicate vertical then horizontal thickness. Three values indicate top, then horizontal (left and right), then bottom thickness. Four values indicate top, then right, then bottom, then left thickness. CSS thickness values differ from XAML Thickness values. For example, in XAML a two-value Thickness indicates horizontal then vertical thickness, while a four-value Thickness indicates left, then top, then right, then bottom thickness. In addition, XAML Thickness values are comma delimited. The exact meaning of each namedsize value is platform-dependent and view-dependent.